In order to live a promising future you need to make sure that you do not have a criminal record. Once you commit a crime it can be hard to land a job or seem credible when filing certain paperwork. Although you may have only committed a minor offense or simply made one wrong mistake people are not going to see it like that. What you have to do is take initiative and make sure your expunge your history. Expunge record in Mississippi is not as hard as it sounds, that is because we will help you through every step of the way. Do not limit yourself from a future job opportunity. A lot of businesses will not hire someone with a criminal past. You have to make sure that you get rid of any criminal past you have so that you will have a better chance at making more money in the future. Even if you currently have a job a criminal record could hold you back from a promotion. Your company and superiors will run a background check before giving you a promotion to verify that you are fit to move up, but with a criminal background you might find yourself in the same position for many years. We offer an expungement kit that makes clearing your name easy. All you have to do is purchase the kit and it will provide you all the forms and guide you through the entire process of clearing your name. You will have access to all of the tips and advice we can provide you along the way. Now you don’t have to feel like it is impossible to get rid of a criminal background. All you have to do is get in touch with one of our representatives and we will get you started. A Mississippi expungement is not that uncommon. When you decide to get rid of a bad record the state recognizes that you are taking steps to improve your image. As long as you do not have a series of criminal offenses or have committed a serious crime you should be able to clean your history. Take this time to reflect on the past and make sure that you plan on not committing any more crimes. File your paperwork and in time the state of Mississippi will recognize you as someone without a criminal past. The problem a lot of people face is that they do not take the time to clear their name. As a result they become bitter with their life. Just because you made one mistake that does not mean you have to dwell on it. 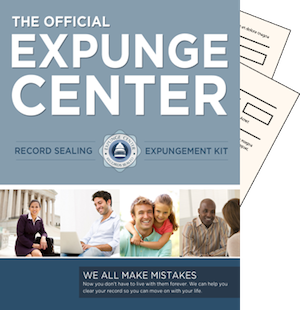 Use the expungement kit and guidelines to figure out how to better your life. Once your name is all clear you will feel a lot better about yourself and your future. You won’t feel embarrassed filling out job applications, and when someone asks if you have a criminal record you will know that your name is clear.